Lee is a graduate from UCLA and has many years of mastering art in different media including acrylic painting, oil painting, and clay. Now he has added Glass Fusion to his repertoire. 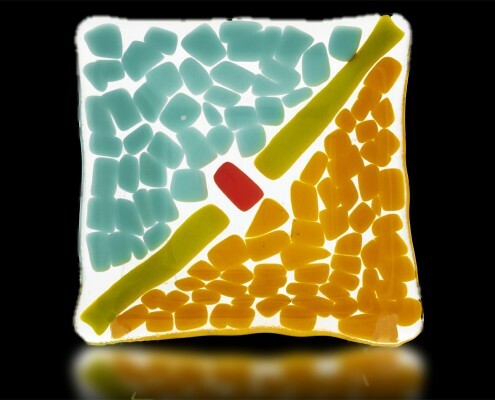 Lee especially enjoys designing wall art in acrylic with small pieces of fused glass. 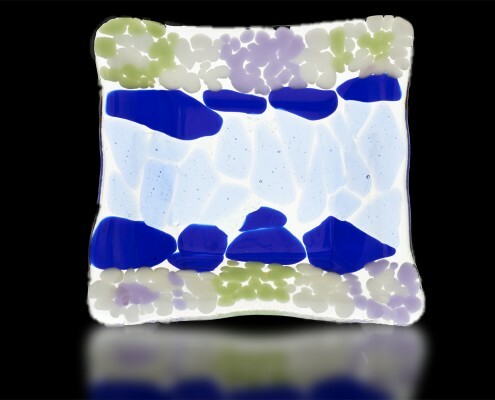 The Fire Glass Studio walls are decorated with many of her wall and glass platter designs.